Impressive Commercial Cannabis Campus. 3 operating grows sitting on 35 acres with an additional 2 sites platted and ready for development. This unique property has approved Augmentation Plans, City Water, City Sewer, Natural Gas, 3 Phase Power, and so much more with plenty of room to 'grow'. 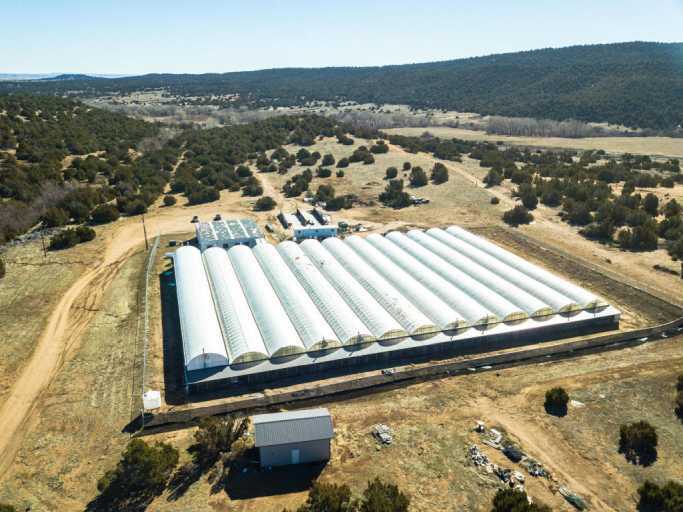 Site 1 includes a 48,000sqft greenhouse fit to accommodate a 3600 plant count as well as a 3,600sqft processing building with security system and backup generators. Site 2 and 3 are undeveloped but approved to grow with utilities in place and unprecedented potential. Site 4 includes a 9,700 square foot greenhouse and a 1,969 square foot office/processing building which will be ready for a new tenant. Site 5 has an existing tenant with a large commercial metal building used for indoor growing. The campus is conveniently located 3 miles west of the city of Walsenburg on HWY 160 in Huerfano County.